This past weekend, I found myself looking at three bananas on the counter that were very ripe. 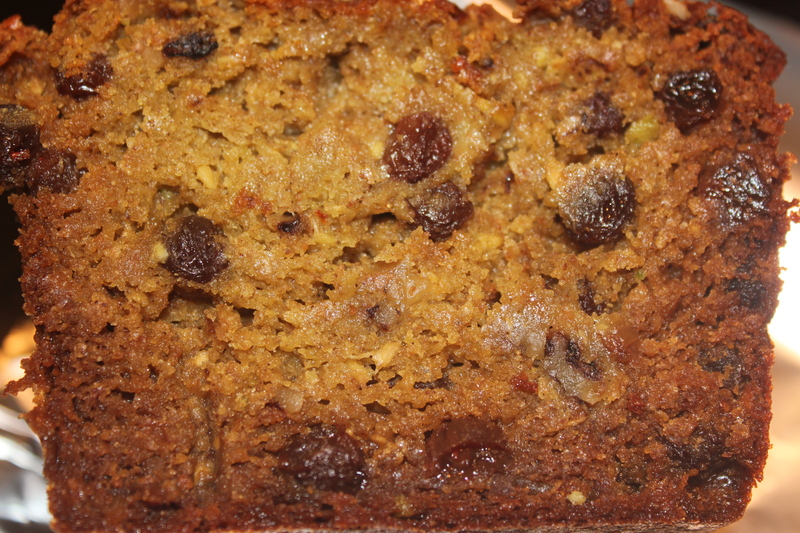 I considered making a banana bread although I wanted to make something that also used some summery fruits. 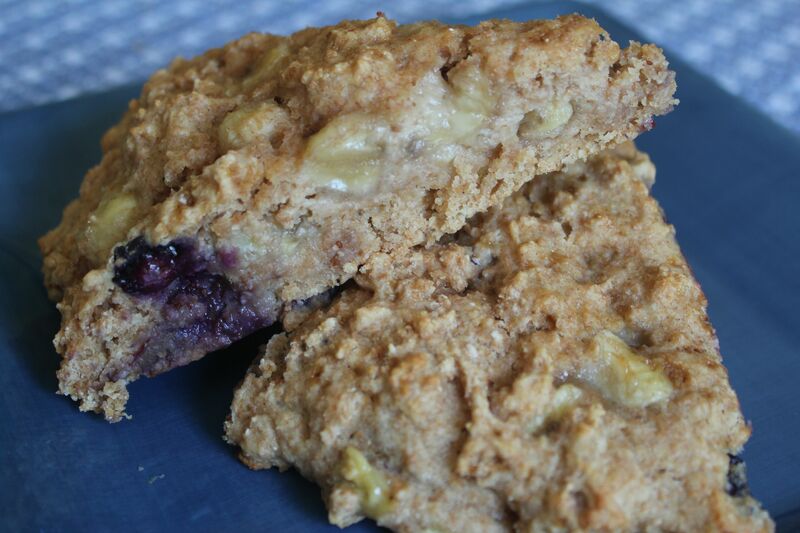 I cruised the Internet and found a great recipe from Fit Foodista for Low Fat, Whole Wheat Banana Cinnamon Scones. I already had the ingredients, including some fresh blueberries, and the preparation seemed easy so I decided to give this a try. Instead of using turbinado (cane) sugar, I used coconut palm sugar, and the result was just right and free from refined sugars. If you don’t have the palm sugar, you can use 1/4 cup of maple syrup instead and sprinkle the top with maple sugar if desired. Yum! 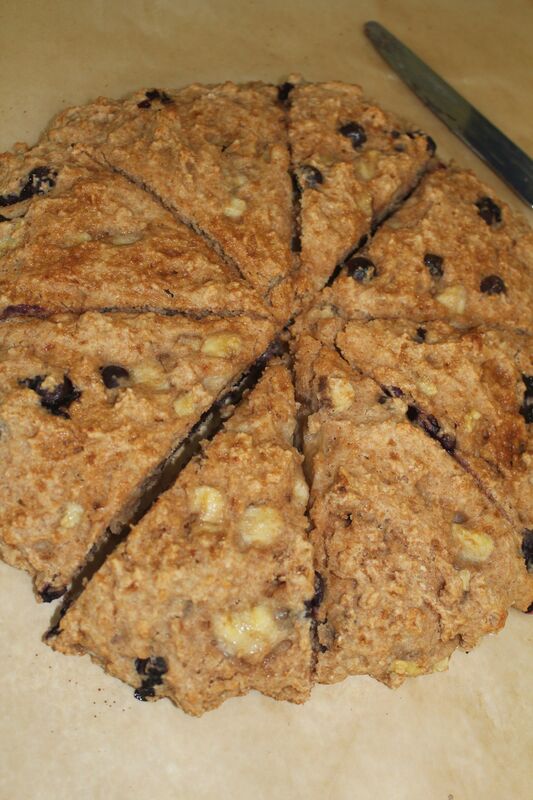 These scones are chewy and really moist, and the pieces of banana and blueberry add some nice sweetness. You could use any berries that are in season, or try chopped apples or pears and nuts in the fall. 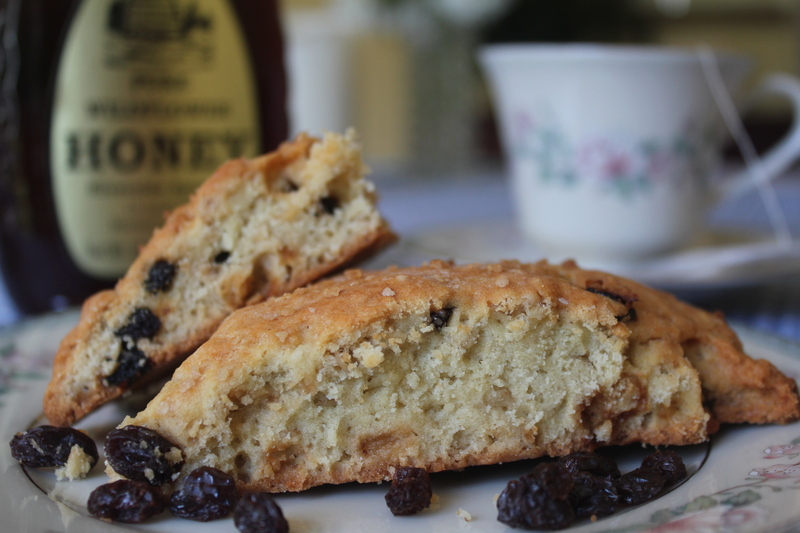 What a nice treat to enjoy with a cup of tea any time of the day or evening. Combine flours, baking powder, sugar, salt and cinnamon in a bowl and whisk together. Slice butter and drop into dry ingredients. 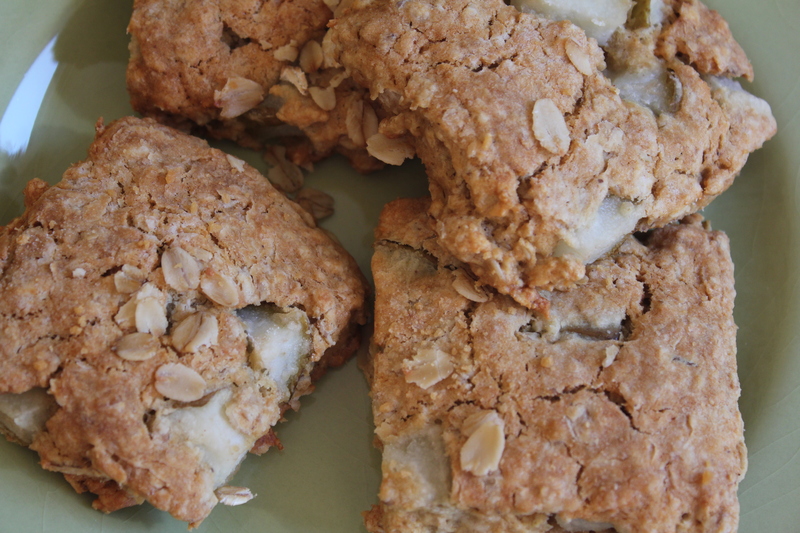 Use a knife or pastry cutter to cut the butter into tiny pieces and mix it into the flour. Add bananas and gently stir. Mix in milk and yogurt. Form dough into a circle that is about an inch deep all around. Cut the circle into 8 slices. Bake for 18 minutes or until light brown. Thank you for all of your efforts and ideas…I appreciate you tapping into your “sensitive” side to create delicious yeast-free, refined sugar-free food! 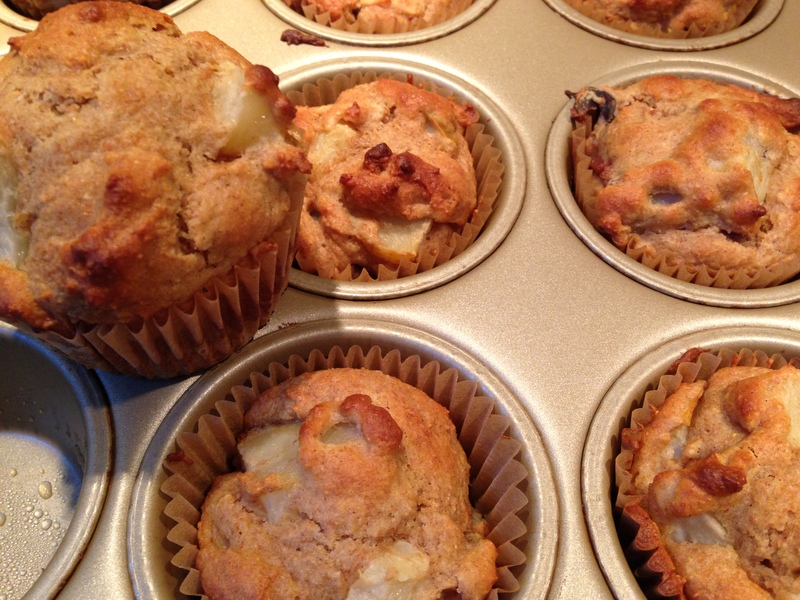 Let’s celebrate a year of collaborating with a recipe: MaryAnn has created another great muffin and this time it is gluten- and sugar-free. 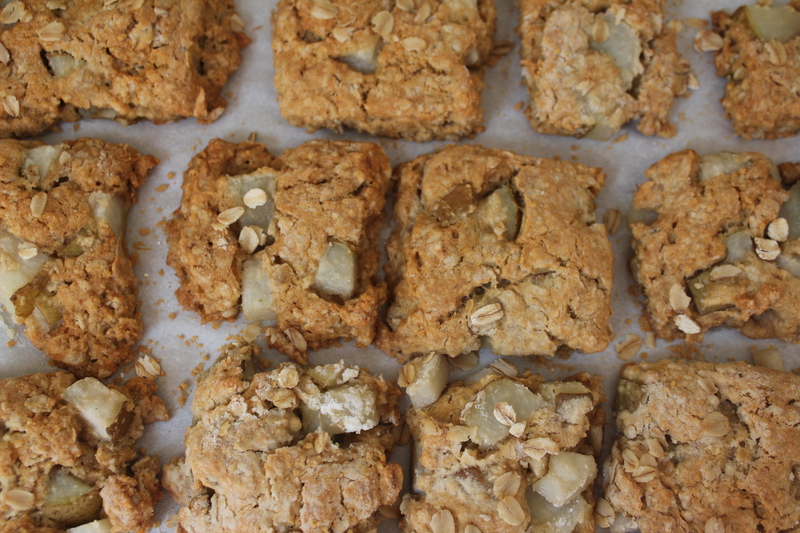 You can get creative with the fruit additions to this tasty treat. –Preheat oven to 350 degrees. –Mix all of the ingredients together. 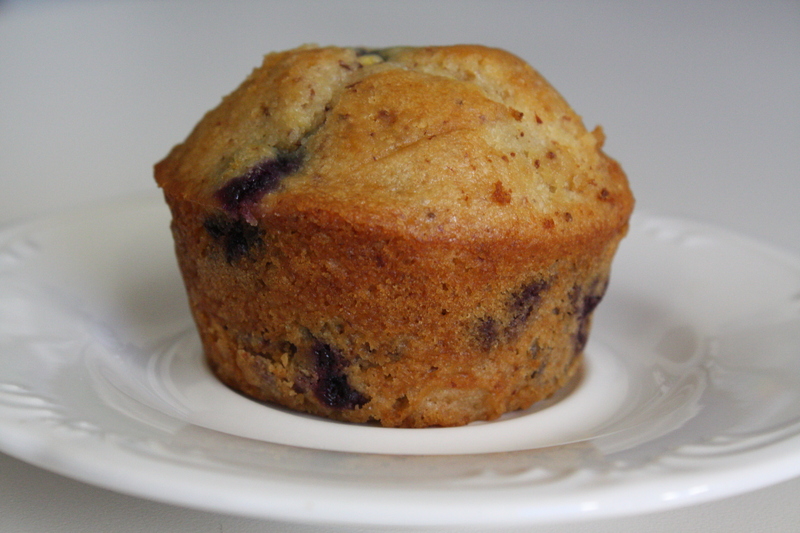 –Pour batter into muffin pan and bake for 18-20 minutes. 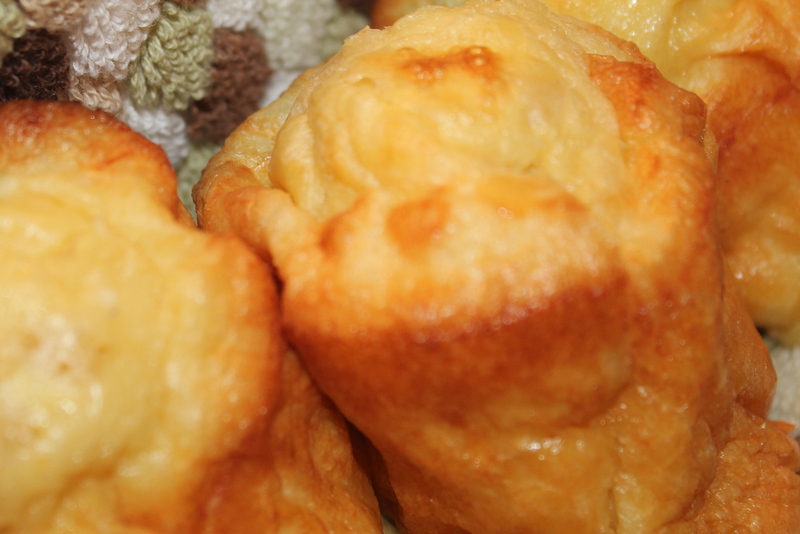 Popovers, light and hollow rolls made from an egg batter, are a yeast-free, sugar-free treat. Popovers are an American recipe that are thought to have descended from English batter puddings and Yorkshire puddings, although the origin is a bit uncertain. Puddings in medieval times were not like today’s custard-like desserts, but rather were meat-based. However, Chef James Beard claimed that the American popover was not derived from the English Yorkshire pudding – so it’s up to you to decide the popover’s origin; perhaps you can create a new recipe and make it your own classic. Thanks, Bree, for making these delicious popovers for our dinner celebration! 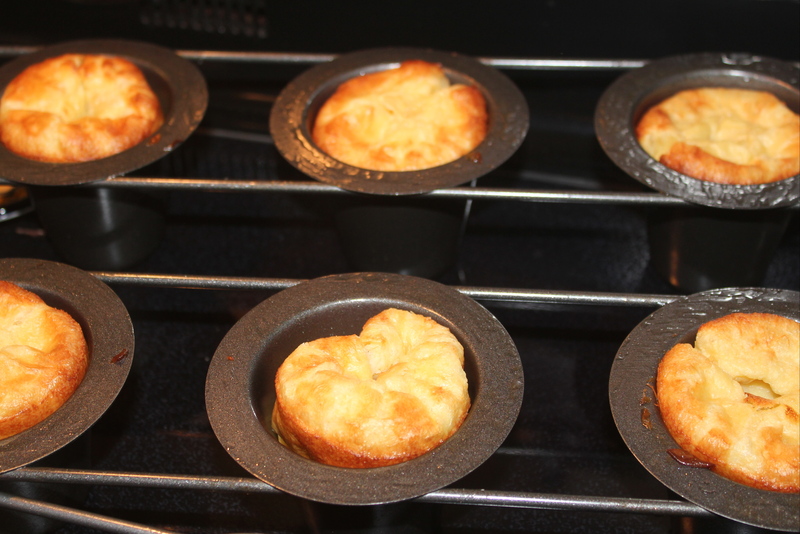 One word of caution from the cook – a popover tin will provide the best results; using a muffin tin may cause disappointment to you and others at your dinner table. Heat oven 425 degrees. Whisk milk, flour, salt until just incorporated. Will be lumpy. Beat in eggs and yolks one at a time, until just incorporated. Do not over mix. Will be lumpy. 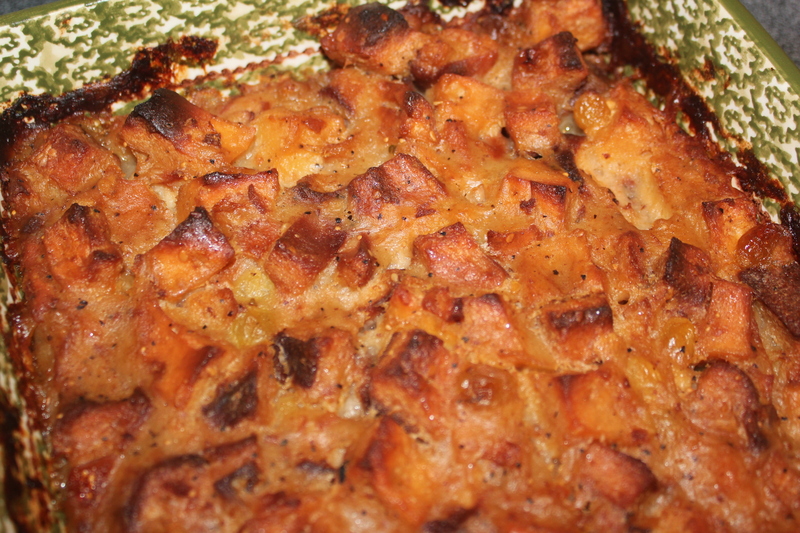 Brush inside of popover tins with generous amount of butter. 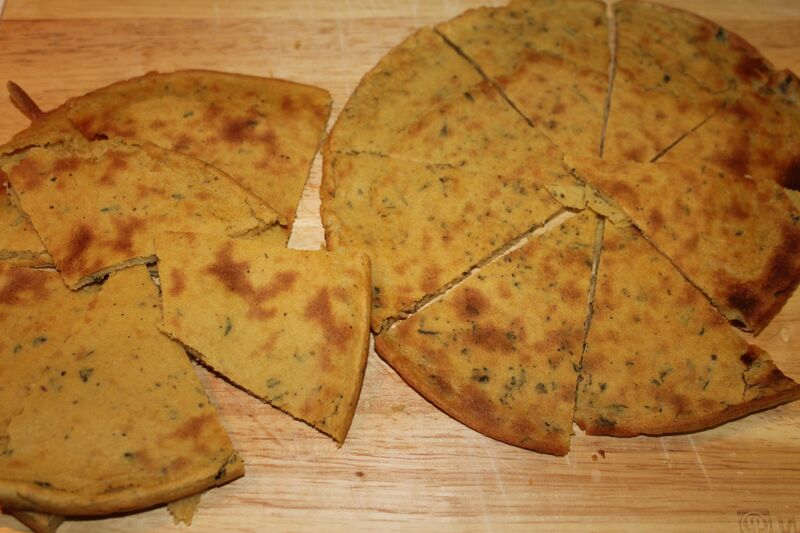 Divide batter evenly among tins. Bake 20 minutes. Reduce temperature to 350; bake until puffed and golden brown, 15-20 minutes more. Serve immediately. 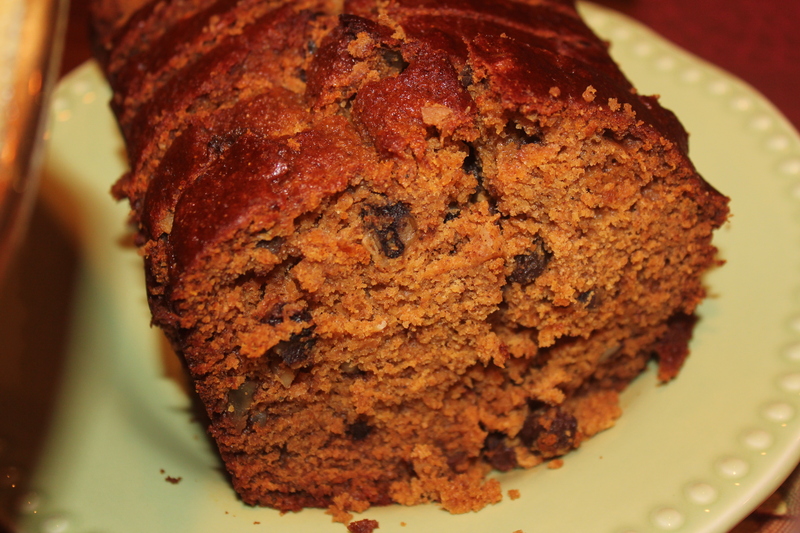 I am sharing this recipe with Simply Sugar and Gluten Free, Miz Helen’s Country Cottage, Food Trip Friday and Cybele Pascal Allergen-Free Cuisine.